TESTHEAD: Cucumber Nerds: Can Color and Pipes Coexist? 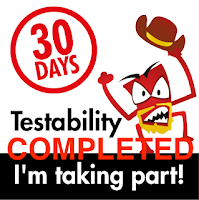 I think I have gotten to a point where I have done all I can do to try to figure out a problem, and I'm coming up empty handed, so to my wonderful tester friends out there, especially those well versed in Cucumber, I need your help. In a perfect world, I would come up with hooks to handle weird exceptions, and I would also have clean running tests every time. 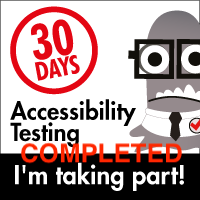 However, this is not a perfect world, and right now, getting the tests to reliably work is my priority. Also, I want to be able to rerun tests that fail and see if they are spurious failures or if there's a real problem. So what's my problem? The lovely red/green/yellow color scheme that shows me what's happening at a glance disappears, replaced with a monochrome representation of all the steps. Do the tests run? Sure? Does the rerun whittle down my errors until I get to the essential problems? Yep, it does. I just want to have my cake and eat it too, if possible. I get that this is because the system is trying to be smart and not deal with colors because the output is going to a pipe and not to the traditional console. My question is, how can I make my system stop being so smart? the -c (force color) option doesn't cut it.